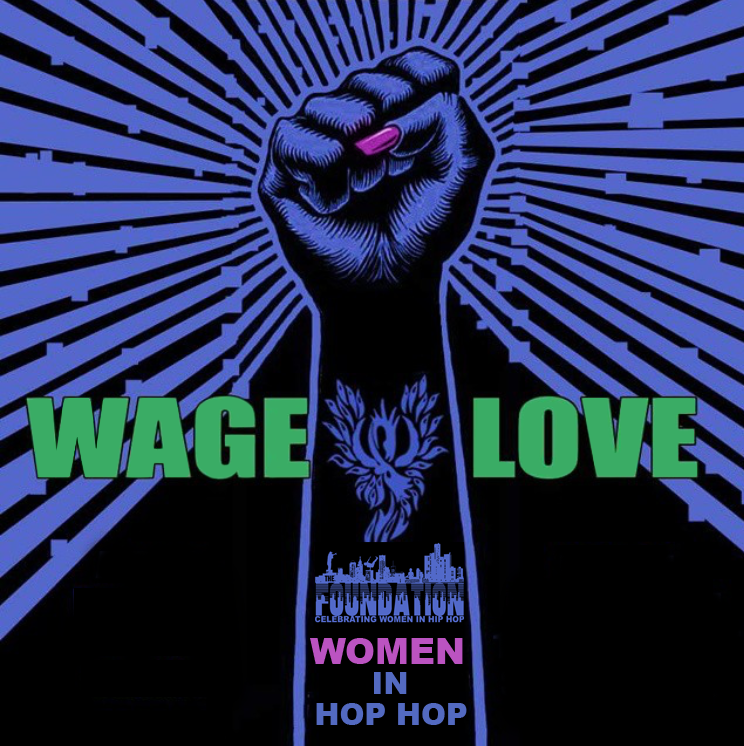 TheFoundation of WomenInHIPHOP stands in Solidarity with the #WageLove Movement. We created this t-shirt as a means to raise awareness around supporting life affirming images Women of Color and Black Women in particular. 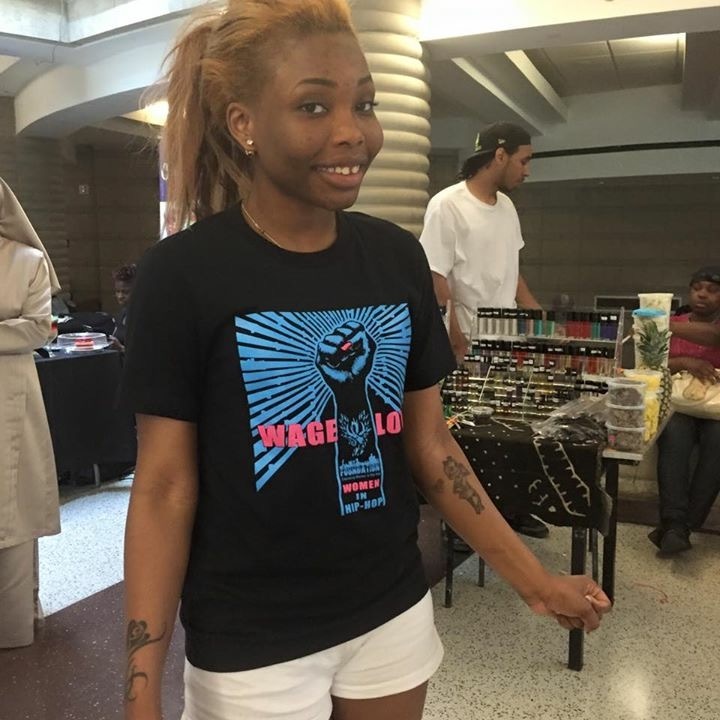 The slogan or motto #WageLove originated with our Martyred Comrade Mama Charity Hicks who, despite the upheaval of various forms of opposition she faced, insisted that the solution to combat oppression is to #WageLove on our communities with conviction and effort. 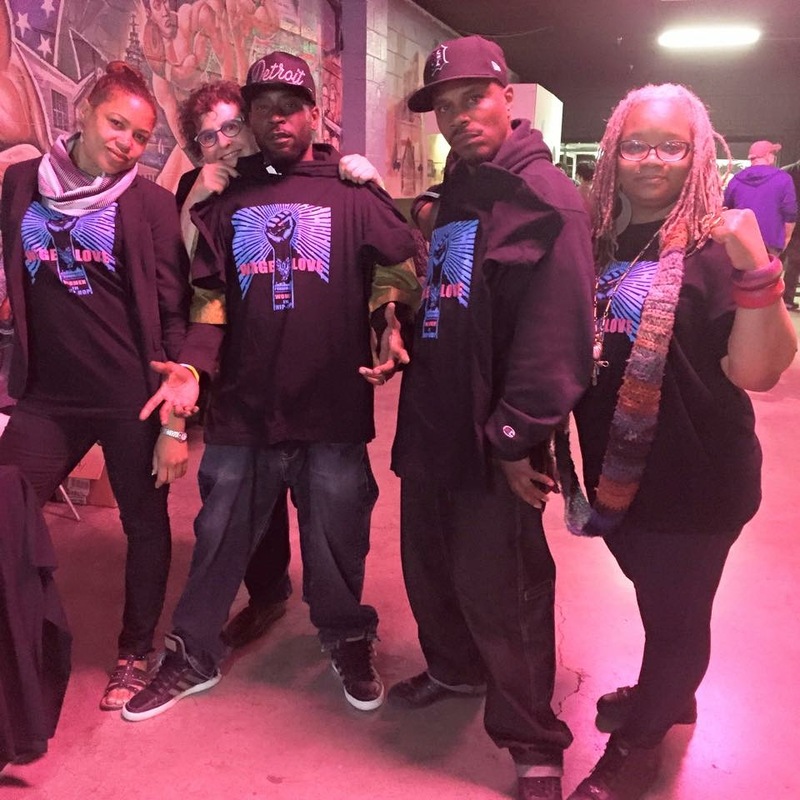 In our work, we utilize Hip Hop as a tool for civic engagement, community organizing, and social change. Our work involves Uplifting Women’s Voices in all the Elements of Hip Hop, Showcasing Women Talent, Conducting Healing Workshops, and Expanding Opportunities for Women Artists. 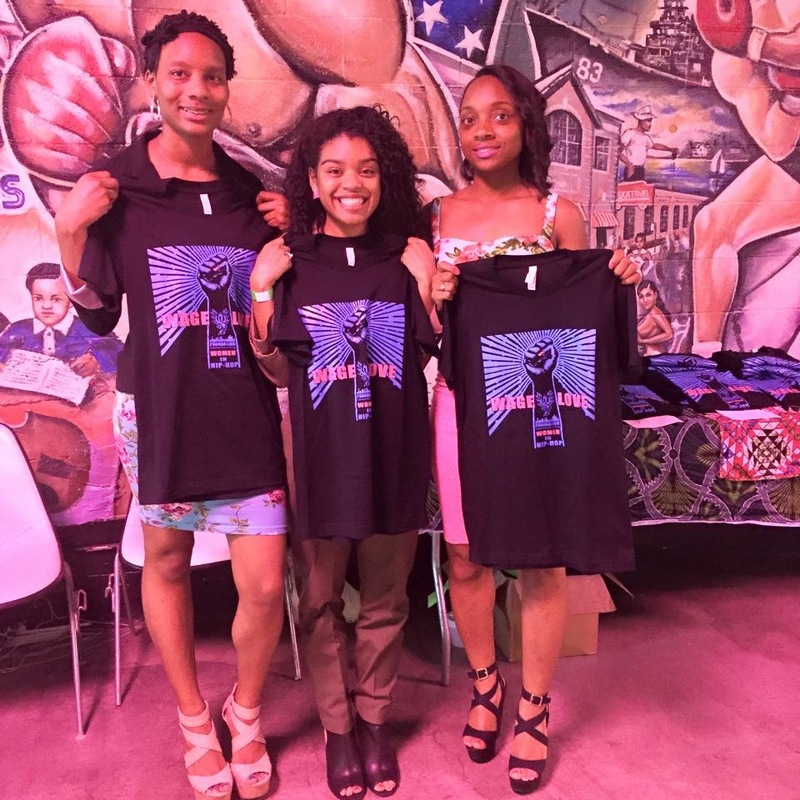 The design of the shirt is an adaptation and ode to the work of graphic artist Emek from his iconic cover art featuring an abstract portrayal of Erykah Badu, reflecting on various topics, including music, religion, governments, and economics to depict American culture and modern society. Proceeds from the purchase of this shirt go towards sustaining our organization. Designer Melody Powell (@omsoul) at the #AfrikaBambaataa show at Bert’s Warehouse in Detroit. #AntoniaLittle + @drdestiny + #BreneRobin at the #AfrikaBambaataa show at Bert’s Warehouse in Detroit. Filmmaker & Media Technology Strategist Naeemah Martin + Professor of Women & Gender Studies Kellie Hay + Food Justice Organizer, Farmer, Emcee Kadiri “Sirius” Senefer + Arts Awareness, Community Engagement & Youth Organizer Gregory “GMack” Mackenzie + Writer, Poet, Global Community Organizer Tawana “Honeycomb” Petty at the #AfrikaBambaataa show at Bert’s Warehouse in Detroit. 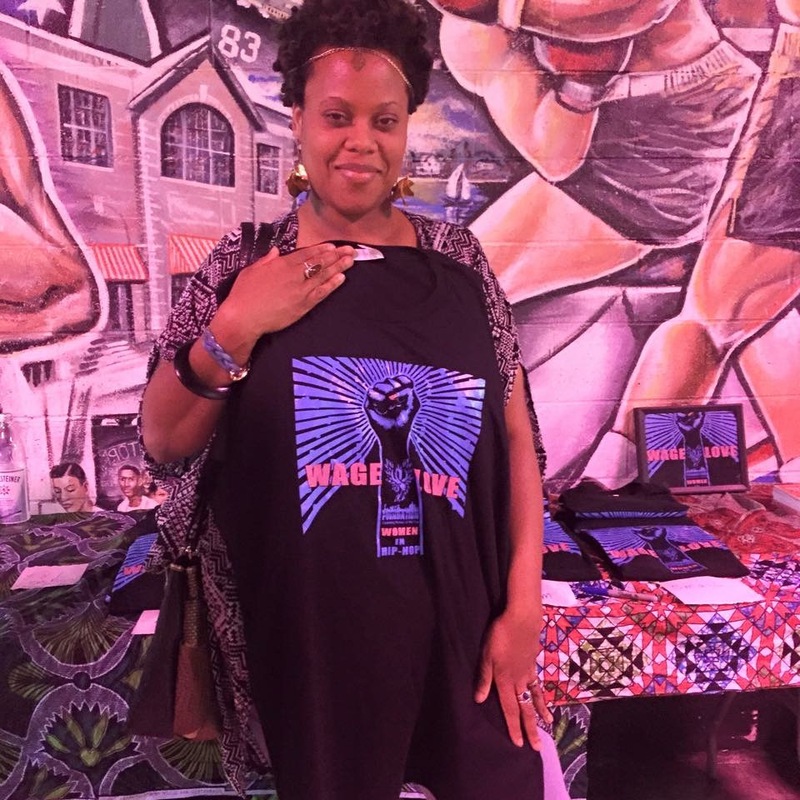 Our very first patron @made.in.detroit at African Liberation Day 2015 at The Charles H. Wright Museum (@TheWrightMuseum) in Detroit.